restaurant, the Rathfinny Tasting Room. Last Friday, my partner Tommy and I drove from Hove to Alfriston to sample their regularly changing six-course evening tasting menu. To do things properly (and get stuck into the wine), we decided to stay overnight at the estate’s on-site accommodation, The Flint Barns. Arriving at Rathfinny is an experience in itself. 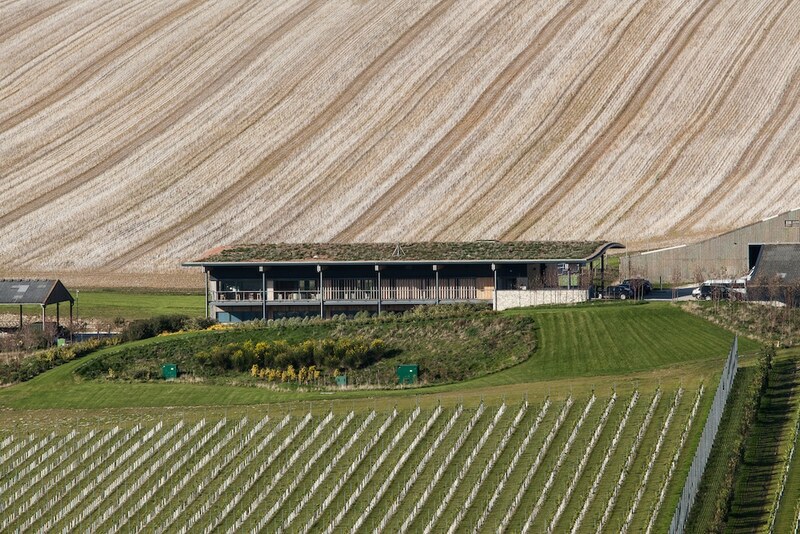 Just back from the Seven Sisters cliffs, this 600-acre vineyard has sweeping views over the Cuckmere meanders, South Downs and out to the sea. 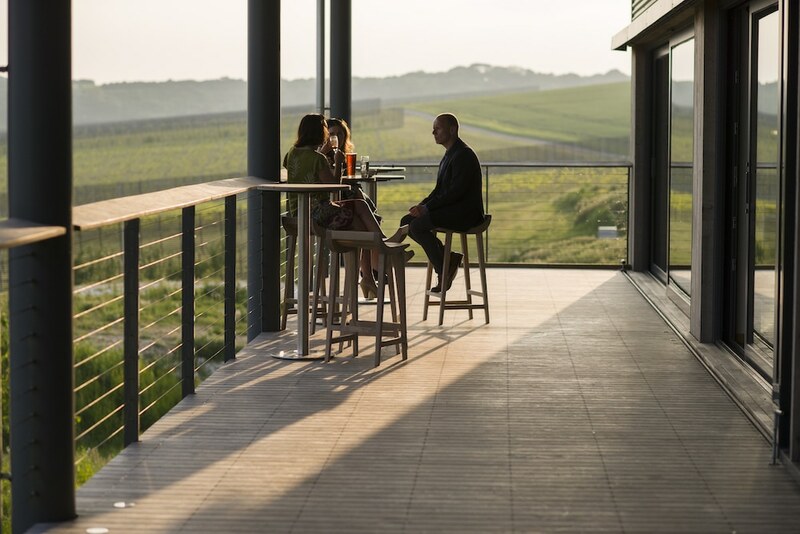 After driving past endless rows of vines, we checked-in to our stylish, heritage barn accommodation then walked along the track to the Rathfinny Tasting Room. Exposed brick walls, copper-lined lampshades and a modern wood-slated ceiling created a stylish rustic feel, and the restaurant’s soft lighting and gentle piano music made us feel instantly relaxed – just what we needed after a long week of work. 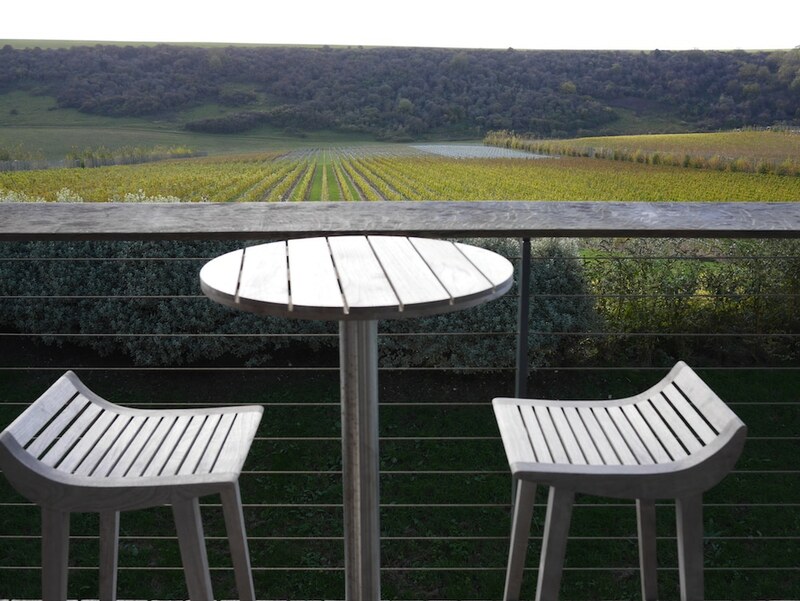 In summertime (or daytime), the Tasting Room’s glass wall and outdoor terrace look directly over the vines. charred aubergine and Jerusalem artichoke tartlet. 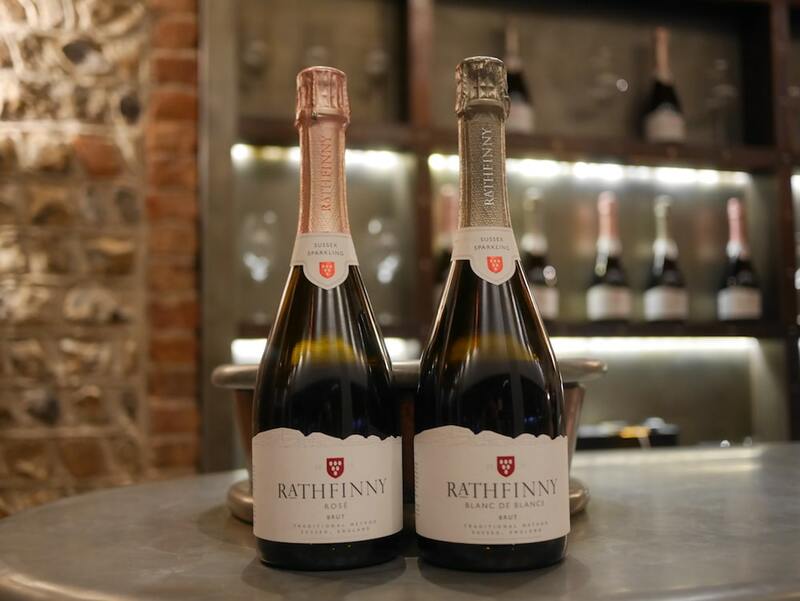 Now is a great time to visit Rathfinny as, six years after planting their first vines, they recently launched their first wines. Tommy started with the fresh and citrusy sparkling Blanc de Blancs 2014, made from 100% Chardonnay grapes. I opted for the Rosé 2015, which tasted subtler, and was my personal favourite. 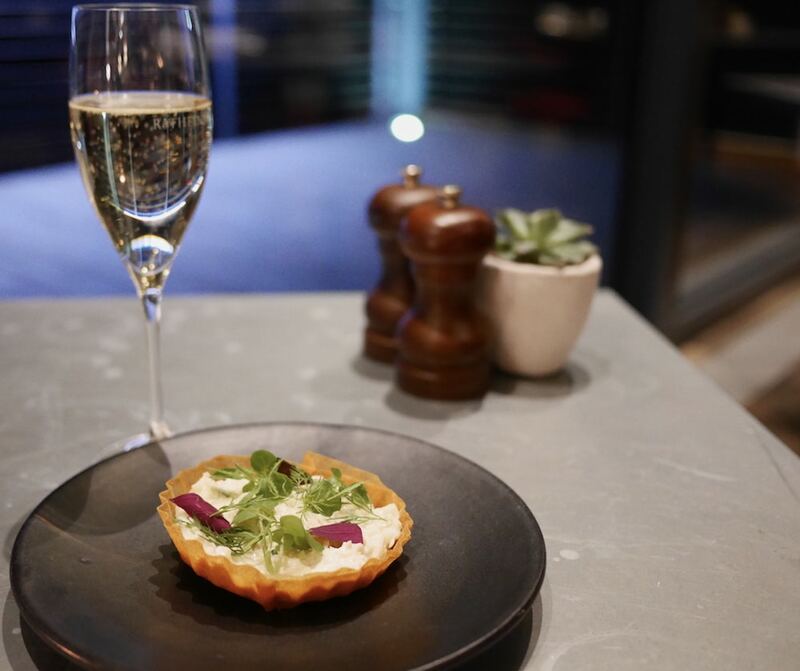 Both our menus began with crab and apple tartlet. A delicate combination of white crabmeat and shredded apple, the fresh and fruity filling was balanced with dill and tangy red sorrel. And I thought that the ‘brik pastry’ casing was a stroke of genius – unbelievably crisp and light, it was like a cross between a wafer and filo pastry. 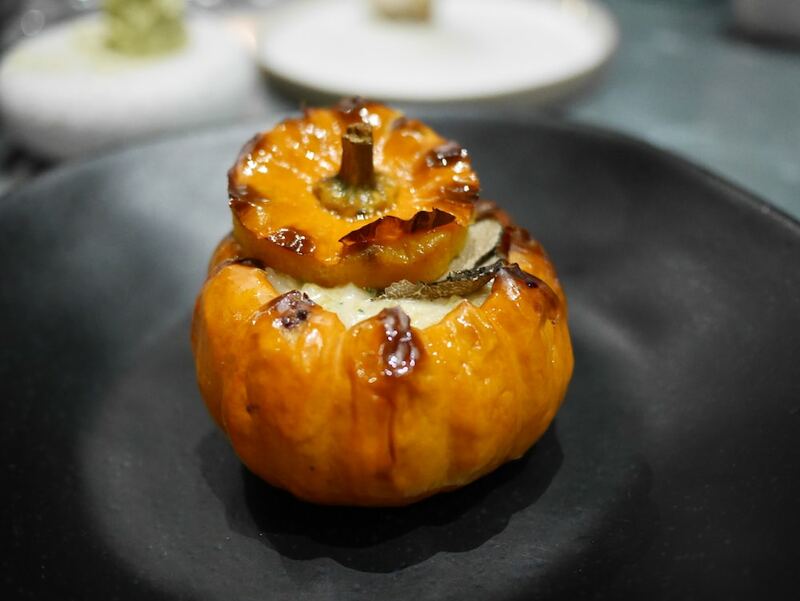 For our second course, we received mini pumpkins filled with chestnut, sage and ricotta risotto. Very on-season (it was just after Halloween) our pumpkins had charred skin and al-dente flesh. Lifting the lid, the creamy risotto filling was topped with shaved truffle. Tommy ate everything bar the stalk, which I think speaks for itself. 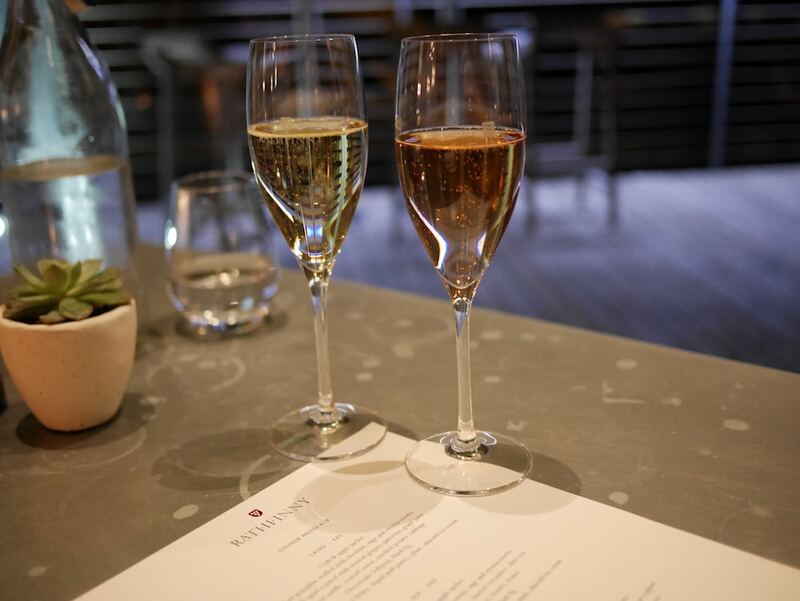 To drink, Tommy ordered another glass of Blanc de Blancs, while I moved on to Rathfinny’s Cradle Valley 2016 – a clean, delicate and dangerously drinkable balance of Pinot Blanc and Pinot Gris. 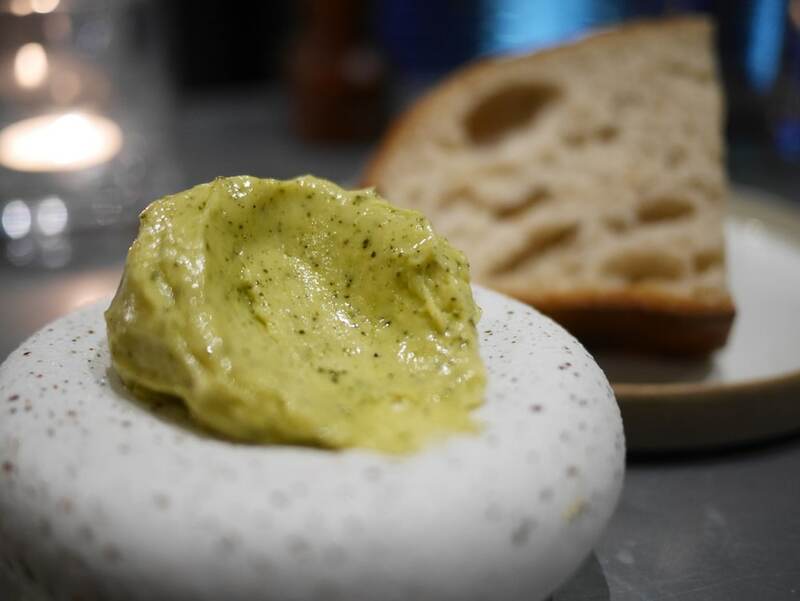 Between courses, we munched on oven-warm bread smeared with rock samphire butter. 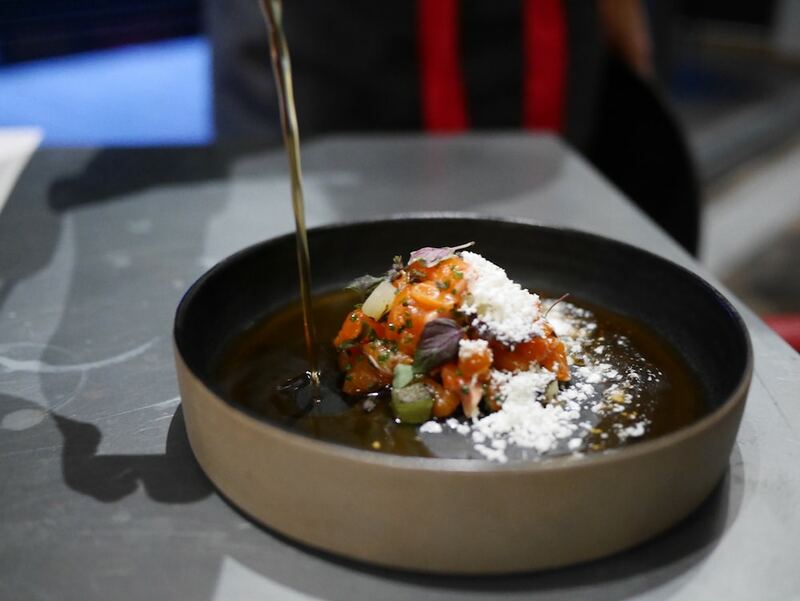 For my first fish course, I savoured sea trout tartare with horseradish snow, charred cucumber and shiso tea. When my waitress poured over the tea, my horseradish snow melted to create a wasabi-like jus, albeit without the eye-watering aftershock. 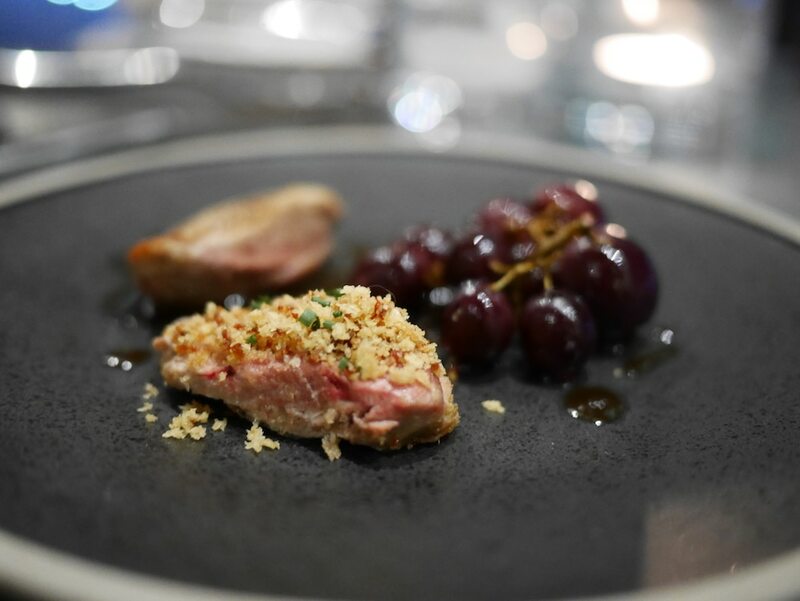 Tommy’s first meat course was roasted Norfolk quail with muscat grapes, pancetta and grape juice. Served two ways, one piece of his pink quail was beautifully seasoned, allowing the game to sing through. The other had added texture with a crispy breadcrumb crust. I also loved the warm grapes – they tasted like cherries! My main fish dish was snow-white wild bass, which was so soft I could have eaten it with a spoon. 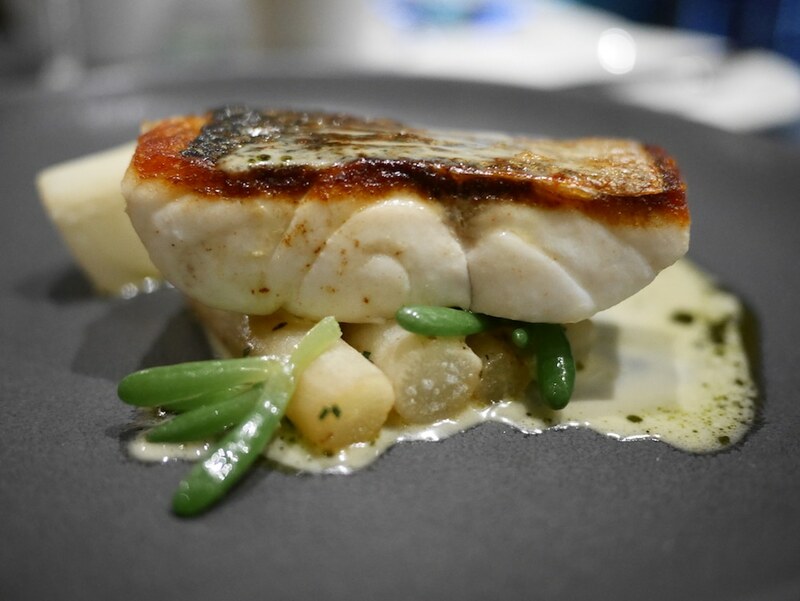 It was served with a herby salsify, seasoned Jerusalem artichoke and salty fingers – a slightly bitter succulent, like plump marsh samphire. 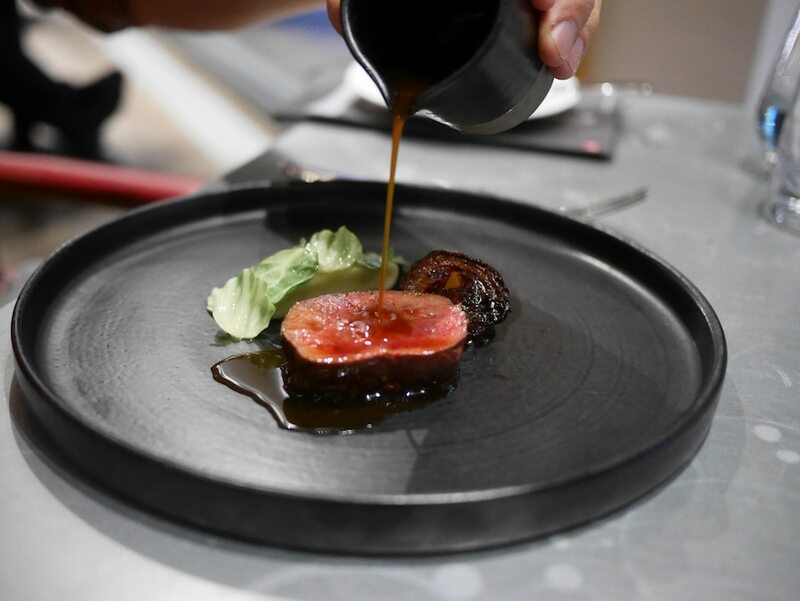 Tommy’s second meat course was venison saddle served with sweet Roscoff onion, smoked potato puree, cabbage and a rich jus that had him grinning from ear to ear. For wine, I sipped Spanish Frontonio Microcosmico Macabeo 2015, which had grapefruit and floral tones. Tommy tried the Simonsig Roussanne 2015 which tasted a tad sweeter and oakier. 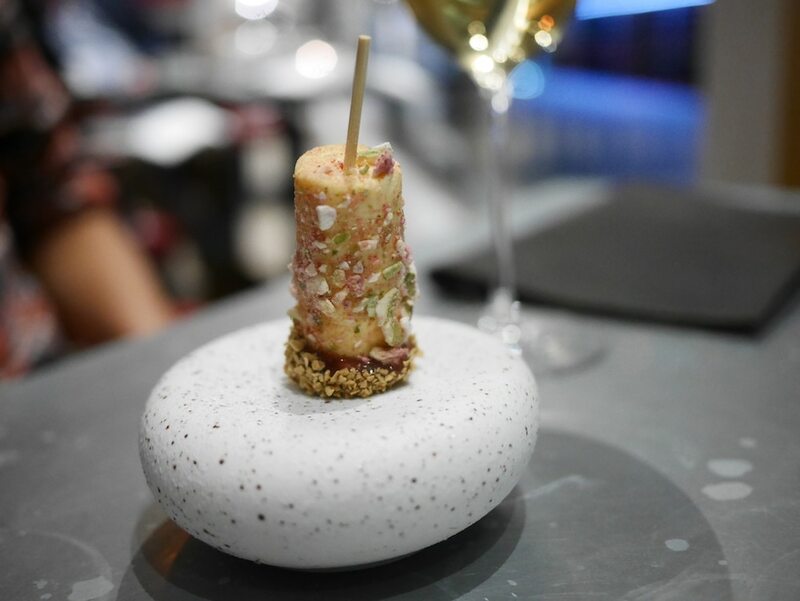 Rathfinny’s tasting menus always include a cheese course twist. Ours was a ricotta cheesecake lollipop with black fig. Our final course was a 65% dark chocolate delice that was so shiny I could almost see my face in it. 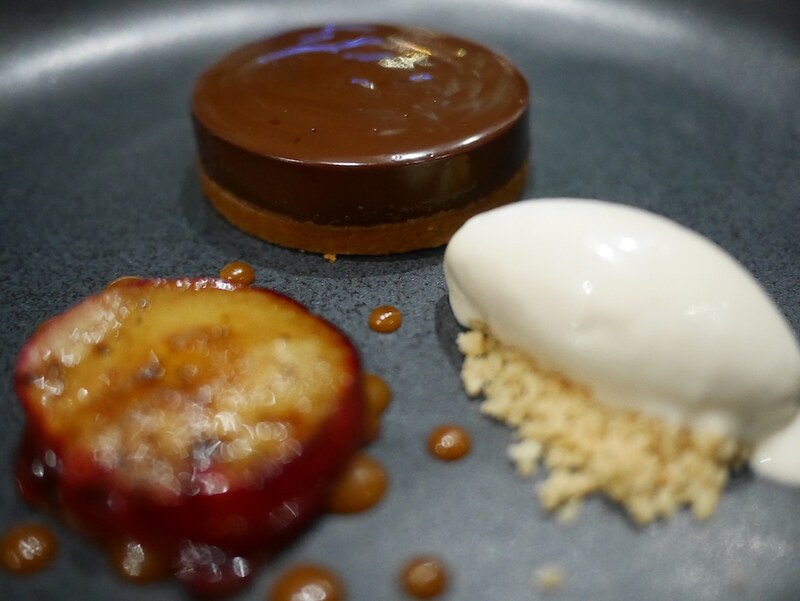 To cut through the richness, it came with a sticky plum and an almost savoury almond ice-cream. Finally, we sampled Rathfinny’s own, sugar-dusted red wine gums. 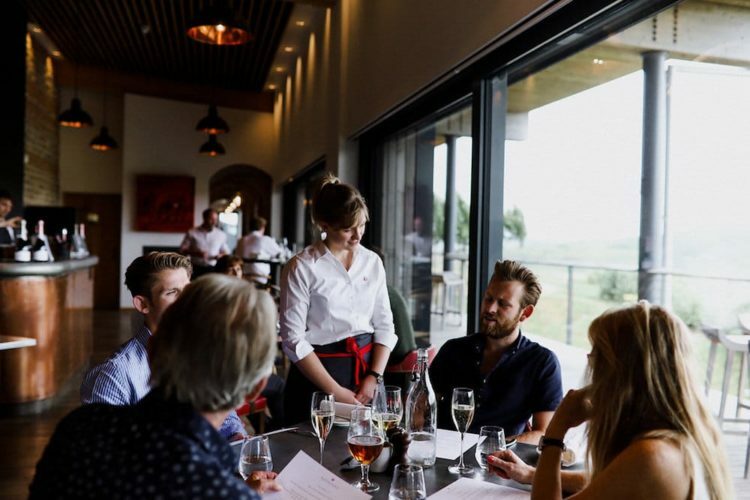 Ending the night at the Flint Barns felt like a fantastic way to extend our evening of fine-dining and fine wines – and, with doubles starting at £105, a night’s accommodation was less than some Brighton taxi companies had quoted me for a return journey. 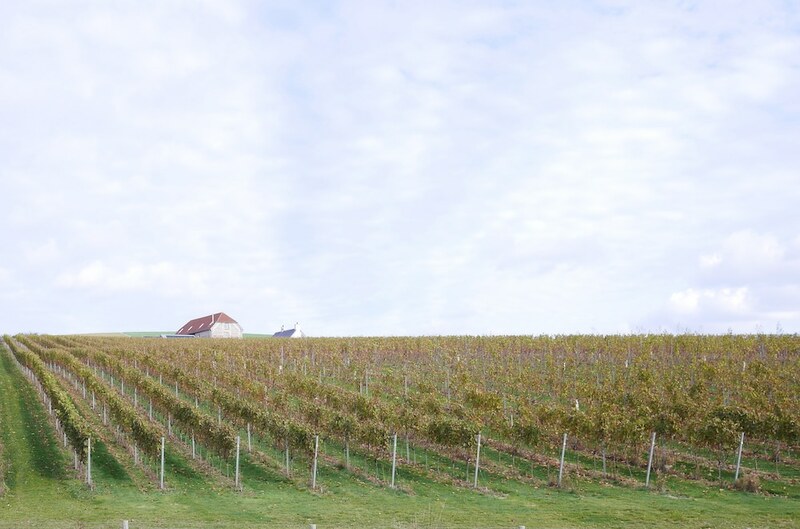 The next morning we woke to rolling vineyard views and a full English breakfast, followed by a beautiful walk around the estate on the Rathfinny Wine Trail. I’ll be recommending the Tasting Room to anyone who’s looking for a really special evening. And, to do it justice, you really should stay. Make a booking by clicking here.